Seed lovers, growers and local producers could all be harmed under the proposed Regulation on Marketing of Plant Reproductive Material by the EU. Sign this petition and email the decision makers to stop this happening. A New Seed Law will go before the EU commissioners on May 6th 2013. The Regulation on Marketing of Plant Reproductive Material law will mean no seed can be sold, or potentially even given for free to anyone in the EU unless that seed is already registered on the EU Plant List as an 'approved' variety. This would outlaw heritage seeds, that are historical and natural seeds which have not been manufactured into hybrids. They produce natural plants that our ancestors would have grown. This new regulation threatens farmers' varieties and rare varieties, stoping diversity and could bring distinction to the many seeds that will not be on the EU list. Small-scale farmers and local producers will be harmed as industrial seed companies extend their dominance and reap the benefits. Sign the Avaaz petition HERE calling for the Law to be amended. A more radical petition: We will not comply! can be signed HERE. Visit: www.open-seeds.org/bad-seed-law/#Custom to find email addresses of the decision makers and a template letter that you can email to them. Send an email to the three EU directorates and each decision member of the commission to fight against this strict law. The Directorate General of the EU for Sanitary and Consumer affairs (DG SANCO) has been working towards this law for years with the lobbying of the gloablised agricultural seed industry. Two other directorates oppose the law and so DG SANCO are taking the new law directly to the Commission on May 6th. I just couldn´t make any sense of the mailing guidelines in your links above (to send e-mails to the descision makers) !!! Far, far too complicated ... I´m sure you could make it clearer. I´m happy there was Avaaz. Signed! so basically what i get from this is, they're going to force us to buy/sell seeds illegally. i don't foresee this going over well. and i don't think its a good idea due to the fact that organic farmers, and those people who grow their little family gardens are going to be outraged. the whole point of being organic is not to have these kinds of things shoved down our throats. >.< better get your seeds in a swift manner! Once again we have the EU sticking it's boot in and we will roll over and take it up the backside again. It's time we got out of Europe. Petition against new Seeds law. There's an online petition from Openpetition.de with just over 74000 signings to stop this law. The petition needs 100000 signings to be acknowledged be Brussels. But we only have 2-3 days left zu get the remaining 26000 signings. A very practical guide, with the full science of how to keep water clean naturally, beautiful photography and a range of budgets for your own build. 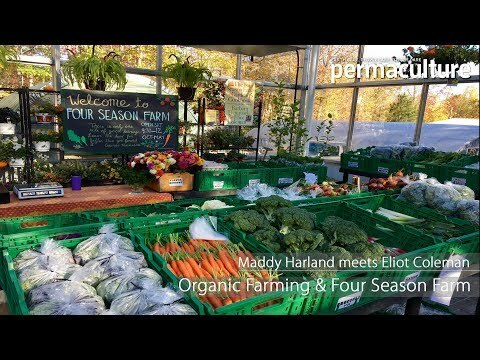 An indepth guide to creating your own profitable permaculture market garden. From the science behind nature and farming, to water and weather cycles, 'permabeds' and holistic guilds. A must read.